Welcome to , the world is waiting, jump on in….. Taking pictures of cleaner shrimps doing their thing on a grouper...There is nothing like diving! Whether you are watching a dozen Caribbean Reef Sharks devouring a chum-sickle or floating around in the 94° water at the Homestead Crater on a winter evening, this sport can’t be beat. Diving to 150’ on a state of the art closed circuit rebreather or taking your kids snorkeling - come on, YOU need to be HERE! LEARN TO DIVE - Just starting out? Don’t worry newbie, we don’t bite. Whatever your interest in the underwater world, DIVE UTAH is your best resource for education, equipment and experiences. For new snorkelers and divers, we offer introductory classes and beginning open water scuba training. IMPROVE YOUR SKILLS - You are awesome and you want to be more awesomer. We can help. For divers looking to continue their education, we offer additional classes in specialty areas and rescue diver training. If a career in diving sounds intriguing, DIVE UTAH can set you down the professional path with Instructor Training at the highest levels. And if you want to challenge yourself, Technical Diving Training with take you deeper than you ever dreamed. TRAVEL - From local dive sites to the ends of the earth, DIVE UTAH can help you explore the 75% of the planet that is covered by water. The Crater, Sand Hollow, Southern California, Mexico, Bahamas and Fiji are just a few of the places you can explore with us. Let’s do this thing!! 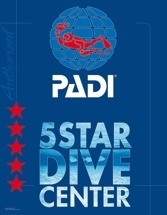 DIVE UTAH - With a wide range of state of the art dive gear for sale, DIVE UTAH is your premier destination for the best equipment to explore the depths. With factory trained technicians, we can service your investments to allow years of safe and confident diving. Our rental department can set you up with the gear you haven’t purchased (yet).